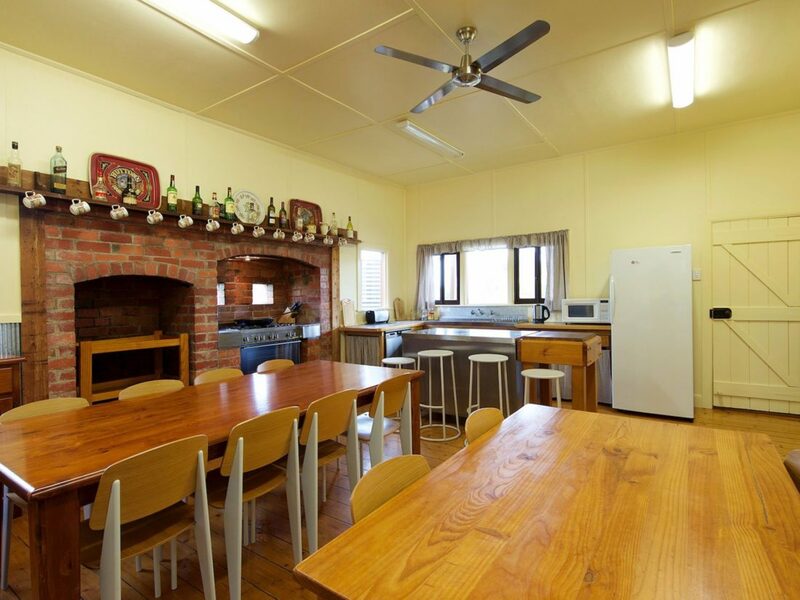 Historic Kilmuir Country Retreat offers self-contained accommodation for groups of eight to 17 people, just a five minutes drive from Mansfield. It is close to ski fields, lakes, mountains, rivers, national parks, wineries, horse riding, the local golf course, Mansfield township, famous coffee shops and restaurants. Originally the shearers’ quarters, the cottage has recently been extensively renovated and updated. The new, under cover alfresco dining area easily seats 17 people. It has a six burner barbecue, an overhead fan for warmer weather and gas heaters for cooler times. All bedrooms contain linen, towels, face washers and soaps. Electric blankets, heaters and fans are provided. The spacious kitchen is fully equipped with crockery, cutlery, cooking utensils, fridges, microwave, a new five burner gas stove and dishwasher. Tea, coffee and sugar are provided. The lounge room has a gas faux-fire, flat screen television, chairs and couches. A walk-in pantry doubles as a drying room for ski gear in winter. There are four new showers and four new toilets. Unrivalled privacy is provided by mature gardens. Majestic, centuries-old red gums dominate sweeping views of farmland. Suitable for groups of up to 17 people. Eight bedrooms consisting of two doubles, one queen, four twin share (two single beds per room) and one triple (single bed and single bunk). All linen, towels, soaps, face washers and electric blankets are provided. All bedrooms open on to the verandas. The queen and triple room have a connecting door which can be locked. One double and one twin room can be accessed from the lounge room. These doors can also be locked. Bring your own portacot. All bedrooms open onto the verandas. There is a lockable door between the room with the queen sized bed and the triple room. One of the twins and a double room can also be accessed from the lounge room.